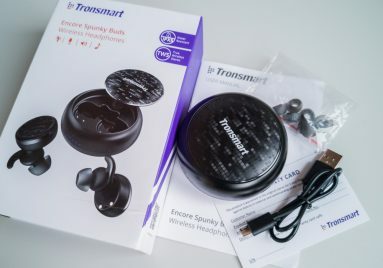 Tronsmart Encore Spunky Buds is a decent true wireless Bluetooth headset. While it’s not perfect, it offers good build quality, touch controls and, most importantly, great sound. Consider the fair price ($50-60 and going down), and you get an interesting gadget. Let’s take a closer look. The fully wireless headset theme is now in trend. Absolute freedom from wires is really cool and convenient. This format of headphones is especially logical for active users and lovers of healthy lifestyles. 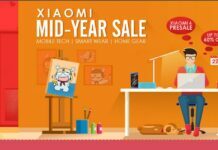 There are already many similar devices on sale, but the flagship solutions from famous brands are still too expensive, while lower price segment often offers complete trash. Digging in a pile of manure is not very pleasant, but you sometimes may find a pearl in it. 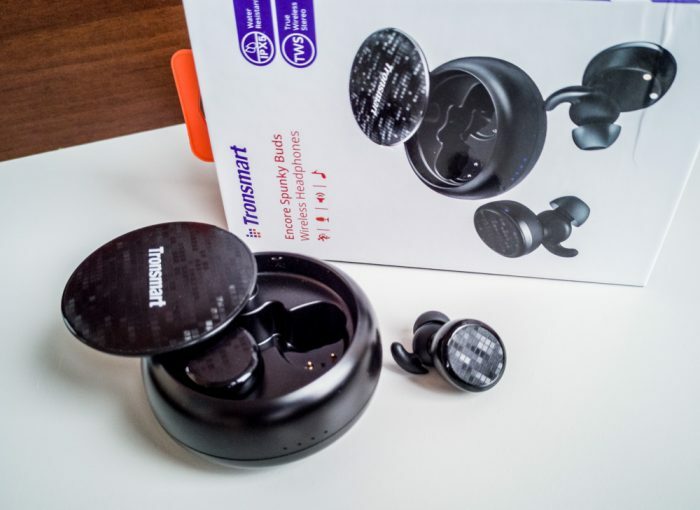 Tronsmart Encore Spunky Buds is a pearl of the budget segment. The headset comes in a fairly large colorfully decorated box out of cardboard. 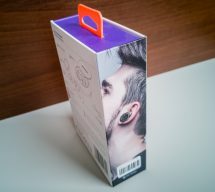 It’s a rectangular box with a magnetic lock, inside of which is a case with headphones in a foam holder, an additional box with a short microUSB charging cable and two interchangeable silicone eartips of different sizes (small and large, mid-size ear eartips are already on the headphones), and a warranty coupon. There is also a booklet manual in 7 languages. I'll start with a case that also acts as a charging device. 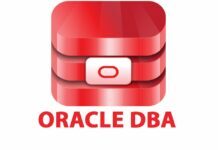 It is made in the format of a thick and massive puck with rounded edges, and resembles a slightly flattened donut. 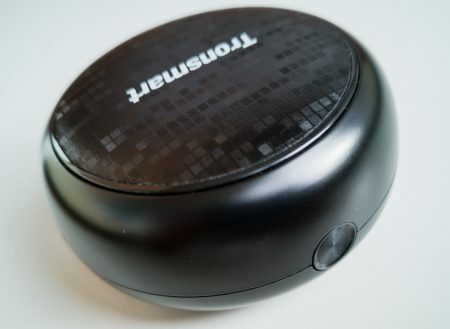 But at the same time the design is light - only 70 g with headphones inside. 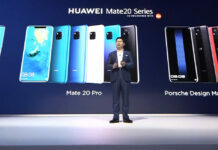 First of all, I want to note that the case is relatively large, if we compare it with the flagship counterparts from Apple, Samsung or Huawei. And no, the battery is no better, as I would like to assume. Its capacity is normal, as for a device of this class. If you look closely, it is noticeable that the interior space is not implemented in the most optimal way – there’s a lot of empty space under the lid. My case is made of black matte plastic (there is also a white version). The material is of sufficient quality, there are also no complaints about the build quality of the main part of the body. The charging case cover is implemented in a slightly unusual way. 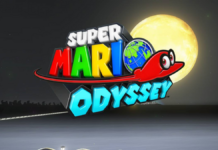 When you press the single button on the case, it slightly pops up with a rather nasty sound. 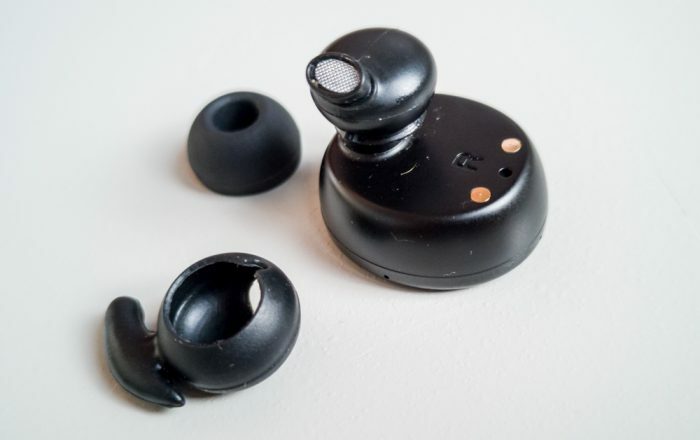 After that, the cover can be turned around the axis of the hinge to get access to the in-ear headphones. To close the lid, you need to return it to its original position and click on the top. 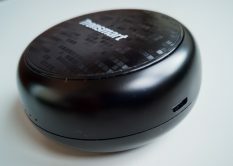 And it is the lid that spoils the impressions of the case, making it feel cheaper. All because it squeaks in the closed position. And in general, it feels flimsy. When open, it dangles on the hinge axis. 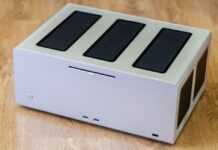 In short, the lid is clearly a weak point of the case, both constructively and in terms of ergonomics. But maybe I'm just used to the more thoughtful design of Freebuds, which cost much more. 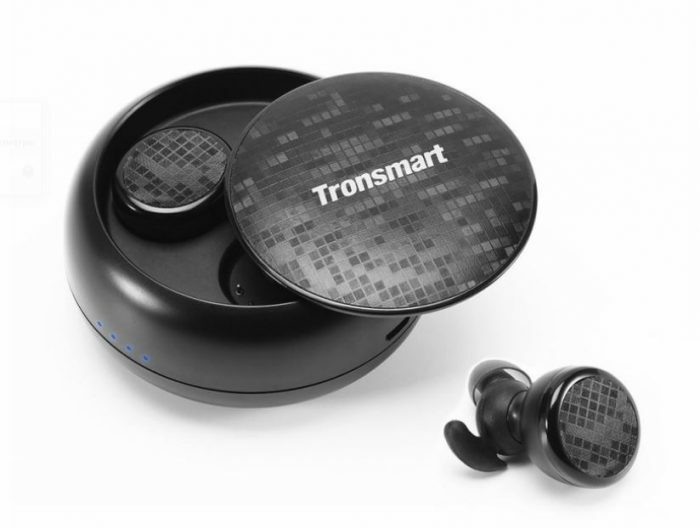 Most likely, all my issues can not be taken to heart, given the price of Tronsmart Encore Spunky Buds. 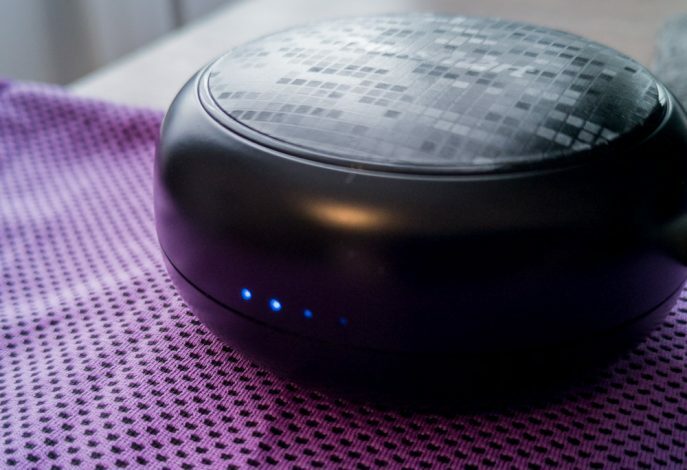 On top of the lid, the manufacturer applied an unusual finish in the form of a matrix of small squares, something like a mosaic that changes shade from different angles of view. 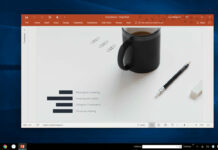 In principle, it looks good. Although the longevity of this is doubtful. But for almost a month of operation nothing bad happened to it, which gives hope. 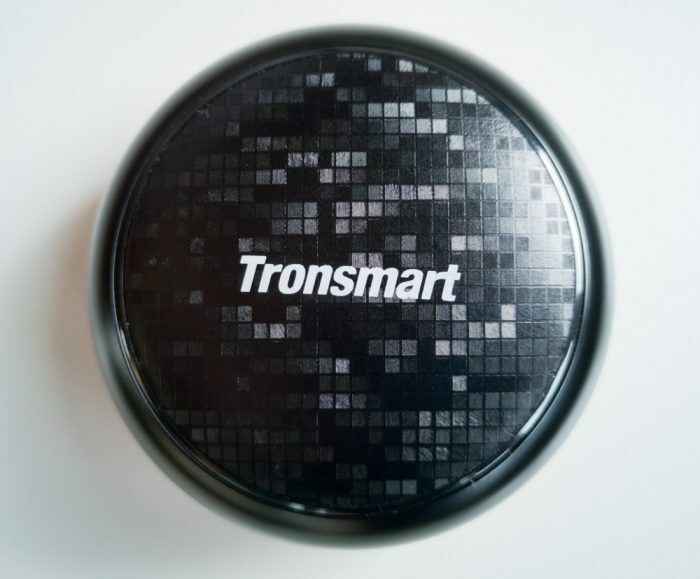 There’s some negligence in manufacturing, noticable on the top of the lid - the Tronsmart inscription is crooked; the direction of the logo clearly does not coincide with the lines of the mosaic, and is generally skewed with respect to the axes of the other elements on the body. Something went wrong... Mostly I do not care, although my internal aesthete was screaming at the sight of it all. 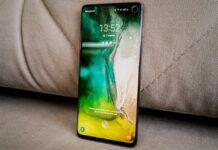 It is clear that this does not affect the functionality of the device, but it is still a shame to see a high-quality product tainted by a small design flaw. 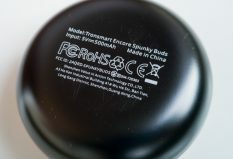 What else is there on the Encore Spunky Buds charging case, besides the mentioned button? We have 4 blue LEDs on the front that show the current battery charge, a microUSB port for charging on the right, a bunch of service information below. Under the lid there are notches for eartips and 2 spring-loaded contacts in each recess to charge them. 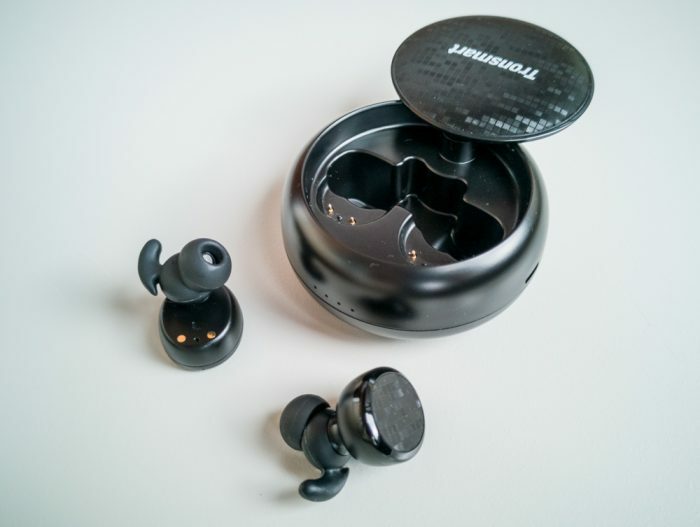 When placing the headphones in the case, they are brought to the desired position and held in place by powerful magnets, which is very convenient. 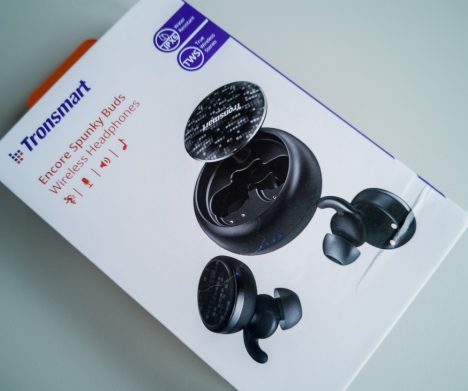 Tronsmart Encore Spunky Buds have an unusual design. Each eartip is actually divided into acoustic and electronic parts. 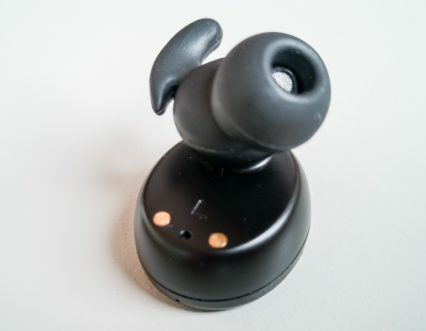 The first is smaller, has a teardrop shape and is covered with a removable silicone ear cushion with a “tendril”, which rests on the auricle and limits the depth of the headphones in the ear canal. It also improves the reliability, stopping it from falling out from sudden movements of the head. Inside the acoustic part is the sound driver (speaker). From the housing of the acoustic chamber at an angle comes a fitting with a protective metal mesh at the end. Despite the unusual oval shape (usually sound guides are round), third-party eartips fit on it without problems. 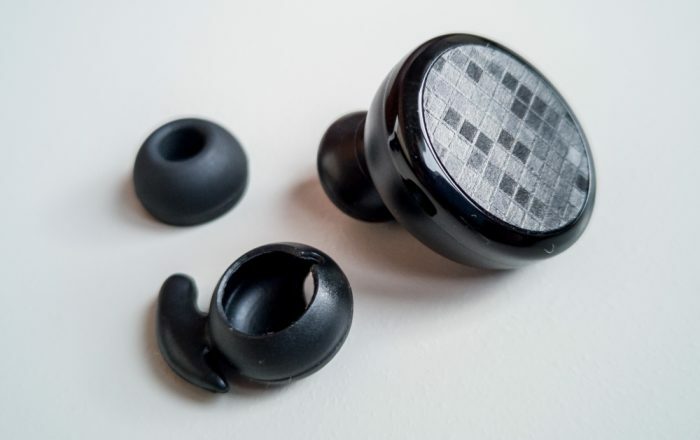 The body of the headphone with electronics inside is much larger in size, it is connected to the acoustic part by a jumper and has an oval shape with a flat pad shaped like a lid - a familiar mosaic. 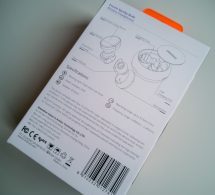 The pad is a touchpad and accepts touches to control the functions of the headset. 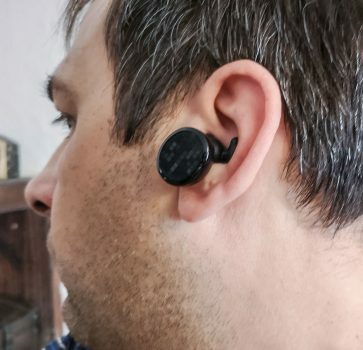 Moreover, the touch control works equally on the right and left earpiece. Inside this case is all the electronics, Bluetooth transmitter and battery. Even on the front of each headphone there is an LED that glows red or blue. Below is a tiny microphone hole. On the inside there are 2 contact pads each, a recess for additional positioning of the eartips in the case, L and R markings. I have no complaints about the materials, the build quality of parts and eartips - everything looks good. 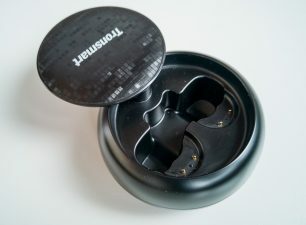 First of all, after unpacking, you notice that the headphones do not have a single button, except for the one located on the case, but it just opens the lid. How to turn them on? It turns out that you just need to get the headset out of the case and the inserts will automatically begin to search for an available device for connection. At the same time the indicator alternately blinks blue and red. 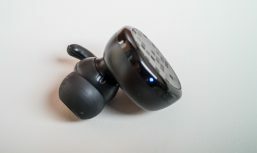 When connected, it will for some time stay blue, and in the connected state the headphones periodically flash. By the way, it annoys me a little, especially at night. On the other hand, if in the dark you drop the eartip, you’ll find it faster. As you know, to turn off the headphones you simply put them in the charging case. In this case, the indicators on the will turn red, indicating the charging process. And the case indicators for a while will show the battery level of the charger. Conveniently, one lit indicator means that you can count on one full charge of headphones. 4 indicators - 4 charges. Plus - batteries in the headphones. In theory, you can count on 12-15 hours of music playback on one full charge. Also it should be understood that the left eartip is the main one. So, you better remove it from the cover first. It is responsible for connecting to the smartphone. And the right one just connects to the main one. Therefore, if you want to use only one eartip as a headset during telephone conversations, use the left earpiece. Unfortunately, there are no sensors in the headphones could would register when the eartip drops from the ear. The playback does not automatically stop, as it happens in more expensive models. Headphones notify the user about changes in status in English in a pleasant female voice with a Chinese accent. The following phrases are used: power on, pairing successful, discovering, connected right/left channel (in each ear), disconnected. 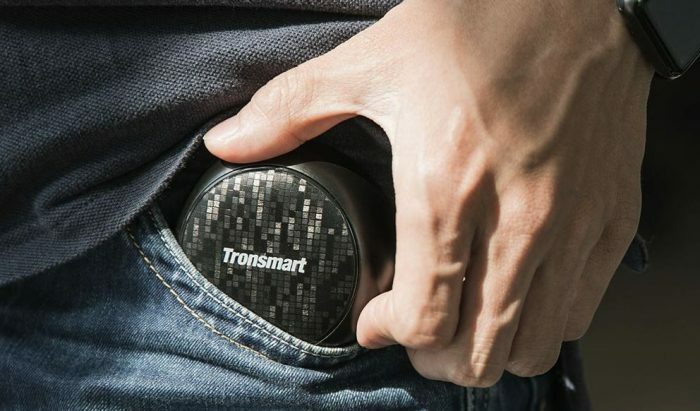 You have probably already noticed that Tronsmart Encore Spunky Buds are quite large. Therefore, they stick out of the ears. So, for example, wearing them under a thick hat, which completely covers the ears, will be problematic, which is especially critical in winter. I myself use the hood of a jacket in the winter and don’t wear a hat, so I don’t have any difficulties with this moment. But you definitely should take into account this feature before buying. And they are quite reliable. 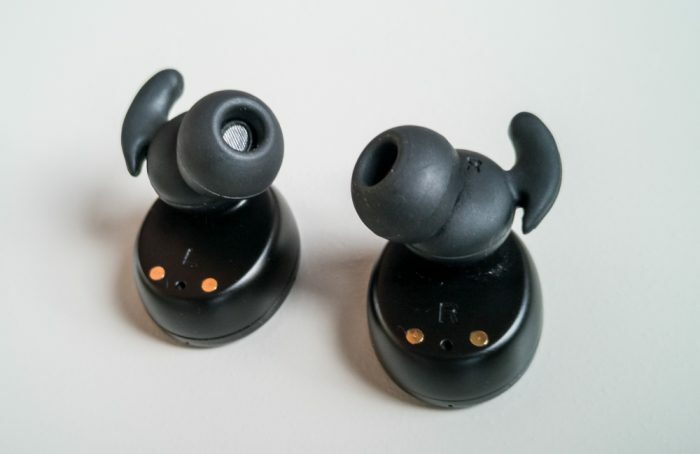 Personally, the eartips didn’t fall out, even with sudden movements of the head or while running. 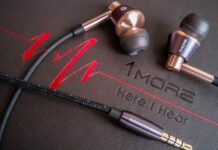 Naturally, this moment is individual for each person; besides, it is important to choose the eartips correctly so that the headphones are tightly fixed in the ear canal, but do not cause discomfort. 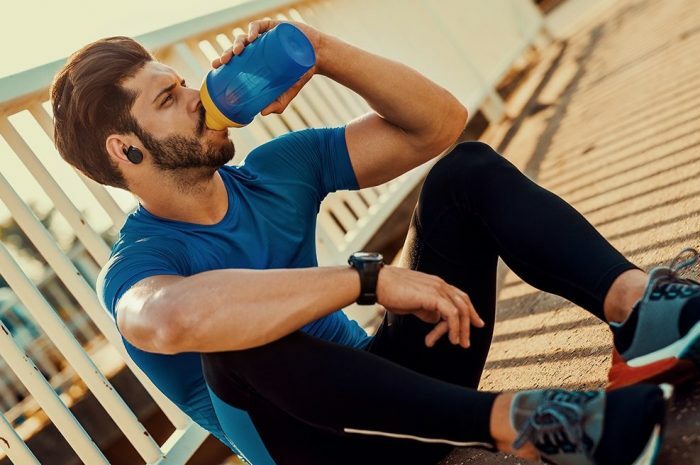 In general, especially taking into account the availability of basic moisture protection according to the IPX5 standard, these headphones can be recommended to athletes, sports enthusiasts and other active lifestyle lovers. 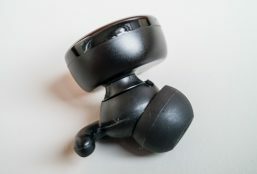 Encore Spunky Buds headset is quite suitable for listening to music while training and quickly answering phone calls. Headphone control is convenient. With one touch on the touch-sensor you can start the playback and answer an incoming phone call. 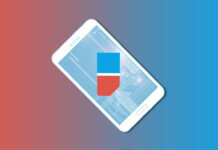 Double tap switches tracks and answers the call or ends the conversation. 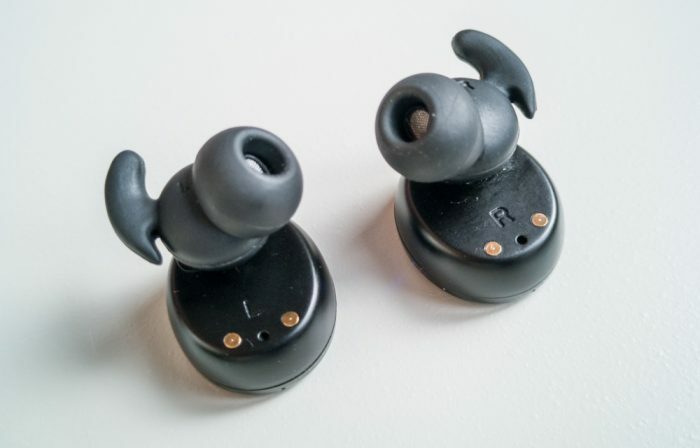 Included with the headphones are 3 pairs of eartips. Personally, none of the available options are perfect for me. I get better sound insulation with large-sized eartips. But because of the semicircular shape of the “caps” and their small length, they penetrate completely into the ear and slightly open there, causing unpleasant sensations, since the edges of the tips cut and rub the inside of the ear canal. Of course, this situation is strongly influenced by the structural features of my auditory organ, and perhaps you will not have a similar situation. I solved the problem by poking around in my arsenal of third-party drop-shaped eartips that suit me best, and installing them instead of the bundled ones. So we got to the main point for any headphones. 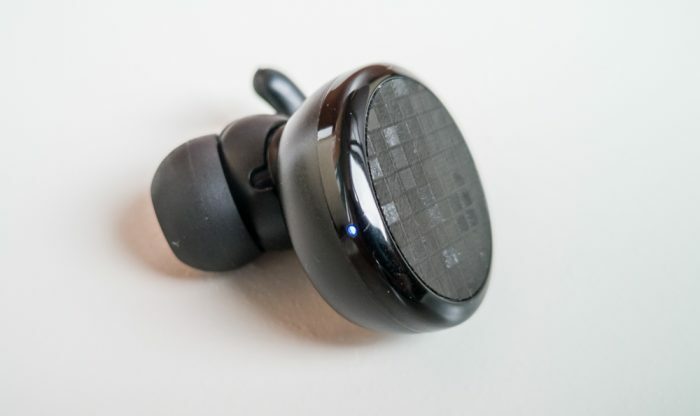 In short, Encore Spunky Buds offer great sound. I was pleasantly surprised. In this price category you’ll hardly find anything better. Moreover (I don’t want to point a finger), I know a much pricier pair with worse sound. Due to the large speakers with a diameter of 10 mm (usually 7-8 mm drivers are used in such headsets), these headphones perfectly reproduce all frequencies, and there is no blockage in any particular range area. Deep bass and high voices are present. 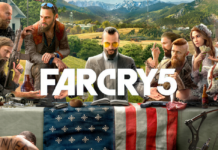 In general the sound is juicy and well detailed. Even without applying any additional effects and equalizer settings, the default sound is very well balanced. 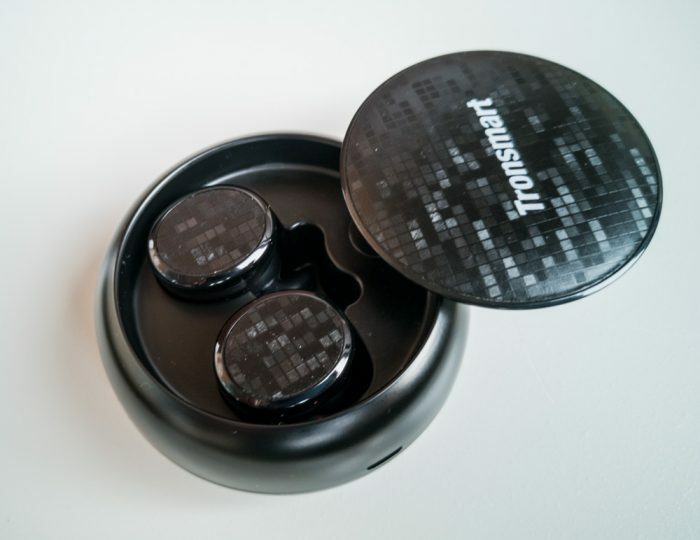 The only drawback of Tronsmart Encore Spunky Buds in terms of sound is the low volume on many devices. In the subway you almost always have to set it to maximum. But there’s a solution. If your sound source (smartphone, most likely) has the ability to customize the sound effects and equalizer to your own taste, then Spunky Buds will reveal to you in full. Why do I say that? 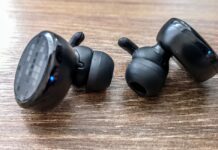 I experienced headphones with several flagship devices that reproduce sound over wires about equally well. But at the same time, Dolby effects and equalizer settings for Bluetooth headphones aren’t available in any device. And the difference in the sound of wireless headphones is obvious. So, if you have a similar problem when using this or another headset, I can recommend one simple application - a free equalizer from Google Play. 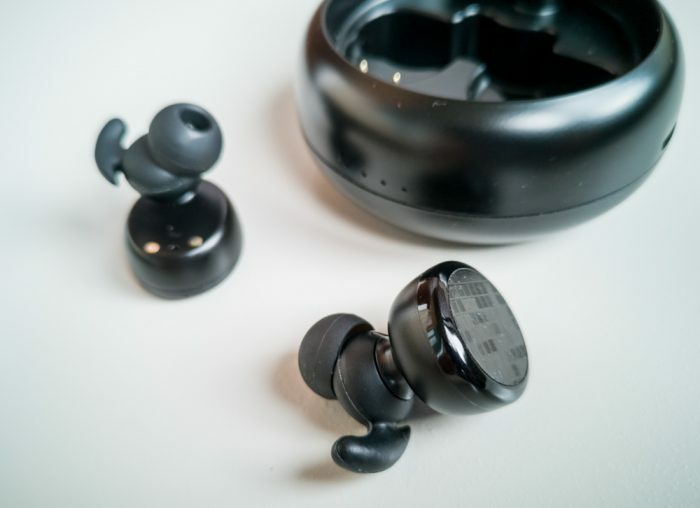 In addition to the obvious frequency-amplitude adjustment of the sound you can increase the overall playback volume, including via Bluetooth (eliminates the main disadvantage of Encore Spunky Buds). But is there life without aptX? 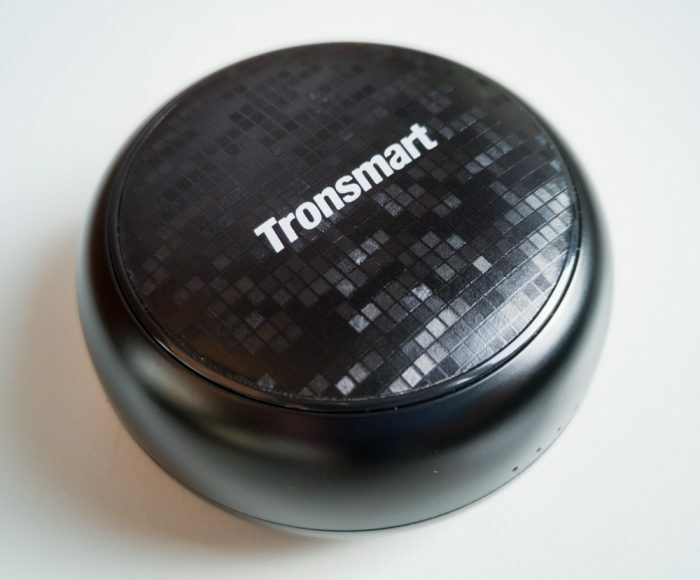 Since we touched upon the sound, it is worth noting that Tronsmart Encore Spunky Buds does not have support for the trendy aptX codec. But there is AAC and it is good enough. 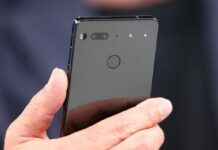 In short, the owners of iPhones are lucky, although Android smartphones of the last 2-3 years generally receive support for this codec. If not, you will have to be content with the basic SBC embedded in the A2DP profile. But in any case, the headphones sound great! 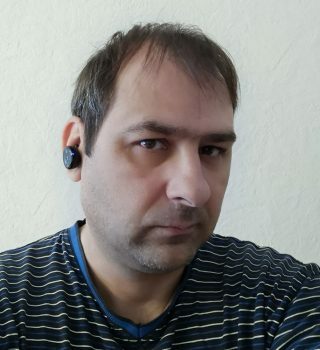 I had experience of using a large number of headphones with aptX support, and in many products it was nothing more than a logo on the package. 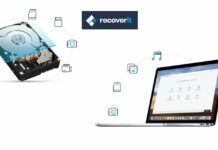 Because, in addition to streaming, it also needs to be converted to analog and reproduced, which means you need a high-quality DAC and a good sound driver. In general, it seems to me that the effect of having aptX on the sound quality of music when using wireless headphones is greatly overrated. Especially if you don’t play lossless files (in fact, aptX provides “only” MP3 320 kbps quality) - in this case, support for this codec will be absolutely useless, and perhaps even harmful. I have studied many articles on this topic, and based on my experience I can also draw some conclusions. 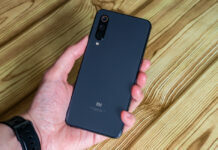 Therefore, at the moment, I believe that the basic capabilities of Bluetooth versions 4-5 are enough to stream music og sufficient quality for the average user. 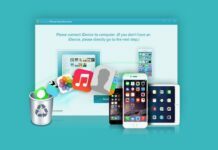 Especially considering the fact that the formats of 128-192 kbps MP3 files are the most popular. 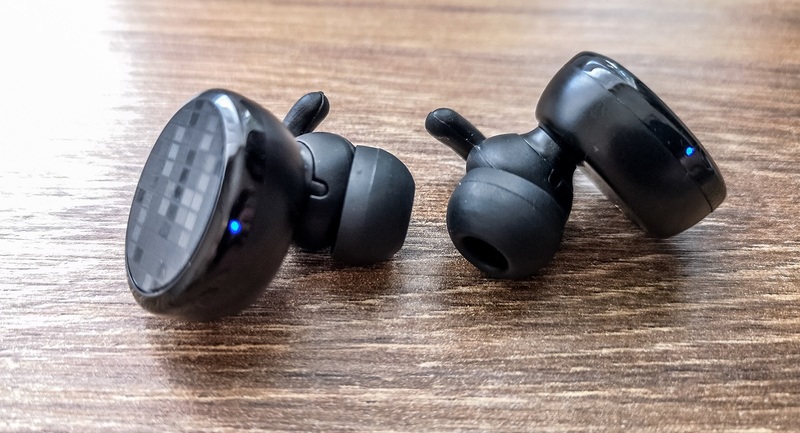 Moreover, in terms of connection stability, the usual Bluetooth protocol shows itself from a better side than aptX, which is set up in such a way as to always give preference to a high bitrate to the detriment of connection reliability. But, you see, the listener most likely will not pay attention to the short-term decline in the quality of music, but he will notice the interruptions. When using headphones, I have certain problems that relate to the selection of eartips. I recently often come back to this topic, and for good reason. 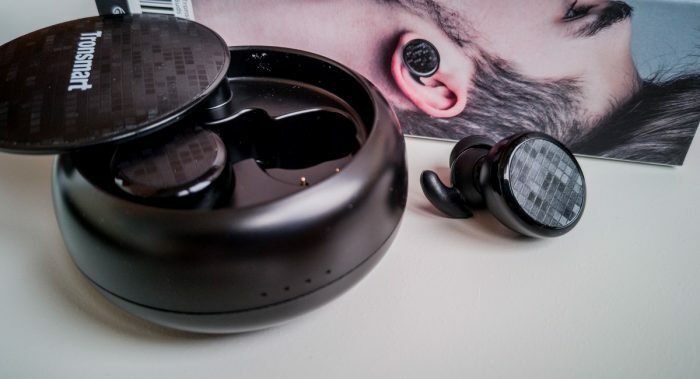 The experience with Tronsmart Encore Spunky Buds only reinforced my opinion that the correct selection of eartips is almost the most important component of obtaining high-quality sound from any vacuum headphones. 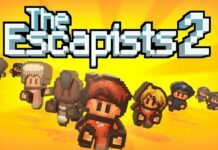 I will share my experience a little, maybe someone will find it handy. As I already mentioned, the bundled eartips did not fit me for ergonomic reasons. I turned to my vast arsenal of eartips and quite quickly was able to choose for myself the option that provided good sealing and excellent reproduction of all frequencies. But then I noticed another problem. In the sound of the headphones there was some kind of noticeable rattling. It appeared not in all songs and even not in all places of any specific songs. Rather, I heard it when a certain frequency range appeared in the music and I could not even understand which one. Very similar to some kind of high-frequency resonance. The equalizer did not help - I regularly noticed this aberration and it annoyed the heck out of me. I have a suspicion that this is some kind of constructive flaw in the headphones. 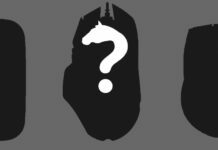 And maybe a feature of my particular product. Because I searched the entire Internet for customer reviews with a similar problem. And I did not find anything like it. But back to my problem, which I successfully eliminated even if I did not understand the exact reason. There are only suspicions - whether the metal mesh vibrates slightly, or some kind of membrane under it. Or maybe the rattle effect was manifested in combination with certain eartips. I even tried to remove the eartips, and it seemed to me that the effect of this was getting smaller. But it took me a while to eliminate the effect completely. I was desperate, but I decided to give the headphones one last chance - again I took out my entire set of eartips (and I have a dozen of them of three different sizes, shapes, densities and colors), and a miracle happened! 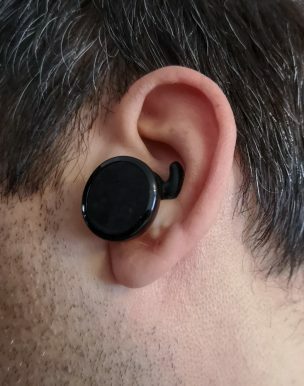 I managed to find eartips that fit me in size, provide maximum comfort, good sound insulation and no rattling effect when listening to music. By the way, without additional ear cushions the earbuds still fit perfectly (at least for me). 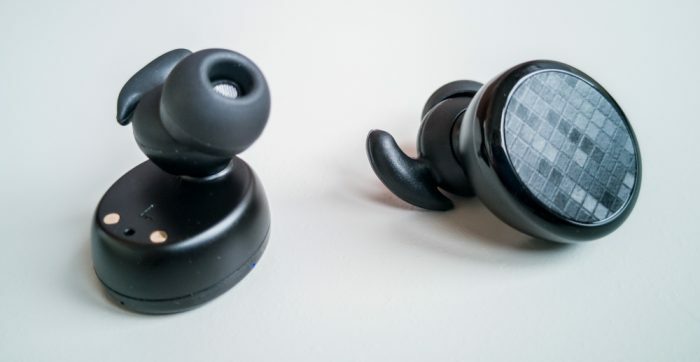 There's another important point about Encore Spunky Buds, which favorably distinguishes these headphones from competitors: lag in YouTube between the picture and the sound when watching a video on a smartphone is missing or so minimal that it is simply invisible. This is actually very cool, because even expensive Bluetooth headphones often suffer from this problem. Here the headphones surprised once again. 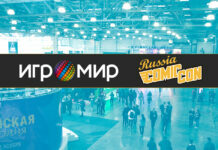 The headset functions without complaints. You can hear the voice perfectly, and the built-in microphones are all okay. I myself also tried to be on the other side of the line and I can only confirm this. There’s a negative effect, like someone’s speaking to you from afar, but it’s nothing major. Once again I want to note the possibility of using only one headphone (left) as a headset for telephone conversations and audio chat. Which is very convenient, for example, in the car. There is a funny moment. I was surprised that on the Internet, many Encore Spunky Buds sellers say that this is impossible. 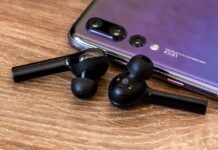 I can only refute this statement - I have one earphone perfectly connected to Huawei P20 Pro and it works great in mono mode. But I repeat - it is the left one. The right one cannot be taken out of the case at all. Or put it back after the connection. 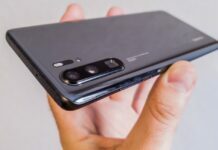 At the same time, the headphones can report a “disconnected” voice notification, but the left phone continues to operate normally. The only problem is that if you want to switch to stereo again, just getting the right earpiece and inserting it into your ear is not enough. It says “power on, discovering” and even once says “connected”, but the sound does not play. Only the left earphone is active. The solution is simple - turn off the headphones, place them in the case, and then again remove both headphones. No issues here, the situation is usual for Bluetooth headphones. 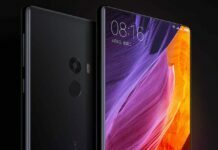 In most situations, the connection is stable in the line of sight from the source at a distance of up to 10 m. Therefore, for example, in the gym, you can simply put the smartphone somewhere nearby. 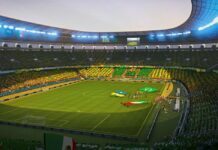 Of course, sometimes there are problems in places of large crowds of people, when the frequency channel is littered with a large number of connections. Short interruptions are possible. Sometimes the auxiliary right headphone may “fall off”, and rarely the playback is completely interrupted. By the way, there is an interesting feature here - in case of problems with streaming, the headphones mute the sound and then gradually restore the volume. Not as hard on the ears as abrupt interruptions in playback. In this regard, I can only confirm the data provided by the manufacturer. Personally, I charge my headphones every 2-3 days, depending on the intensity of use. I listen to music quite actively, a total of 3-5 hours a day. 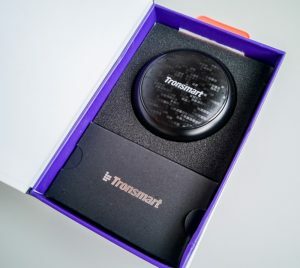 In general, I am pleased with the battery life of Tronsmart Encore Spunky Buds, but I will not say that it is outstanding. Especially considering the overall dimensions. 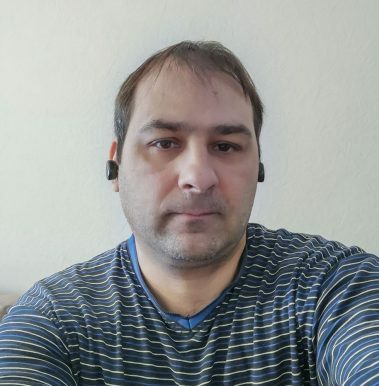 In general, I liked these headphones. 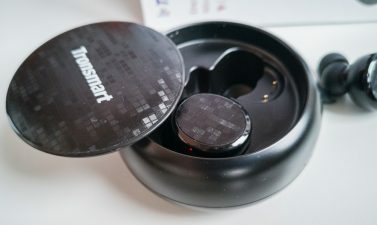 Although the first impressions were not the best, because the obvious disadvantages of Tronsmart Encore Spunky Buds are immediately noticeable: the large dimensions of the charging case and its poorly thought-out design, the disgusting mechanism for opening the lid and flaws in the design. The second and probably the main disadvantage of headphones is the large size of the eartips. Yes, with such “bolts” in the ears the owner of the headset is bound to look a little foolish. But still the advantages of headphones outweigh the disadvantages described above. 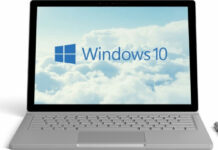 Of course, first of all, it is a convenient fully wireless format. But most importantly, the sound. And after choosing the right eartips and software settings I am generally delighted with the sound of the headphones. 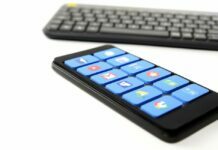 Touch-control is also a very convenient feature. The headset mode and microphones all work fine. A good bonus is the basic protection against moisture and sweat according to the IPX5 standard, thanks to which headphones can be used in any weather and during physical activities. Given the low cost, I can safely recommend this headset for purchase. Perhaps this is the best offer among other fully wireless headsets in the price range of 50-60 dollars. At least in terms of sound quality. There are certain compromises, but they aren’t that big a deal.